It's that time of the year and David Jones has just released their Beauty Book filled with a plethora of gift with purchase and in-store offers in the month of August! 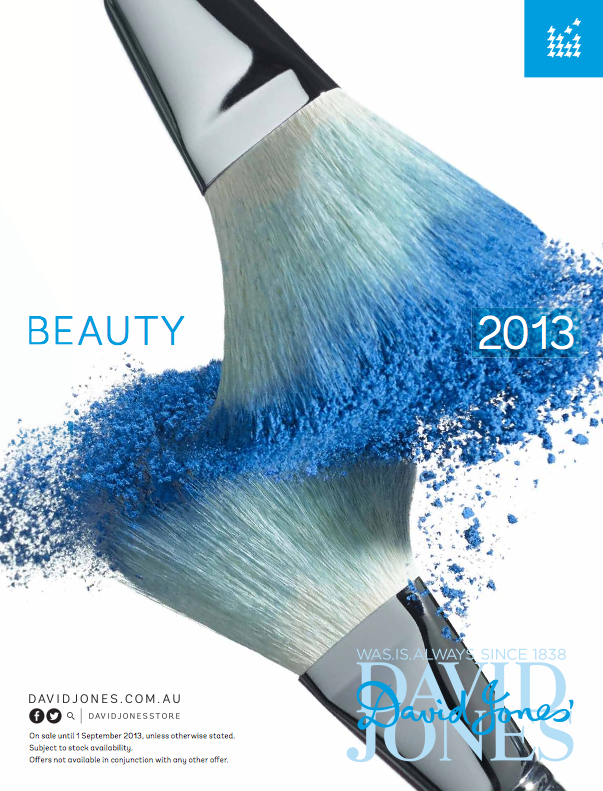 To view the David Jones Beauty Book, please click here. Inside the current Beauty Book, you will find in-store offers to expose you to newly launched beauty products by Shu Uemura, Burberry Beauty and Yves Saint Laurent; and fabulous GWP offers by Lancome, Napoleon Perdis, Elizabeth Arden, OPI and many many more! 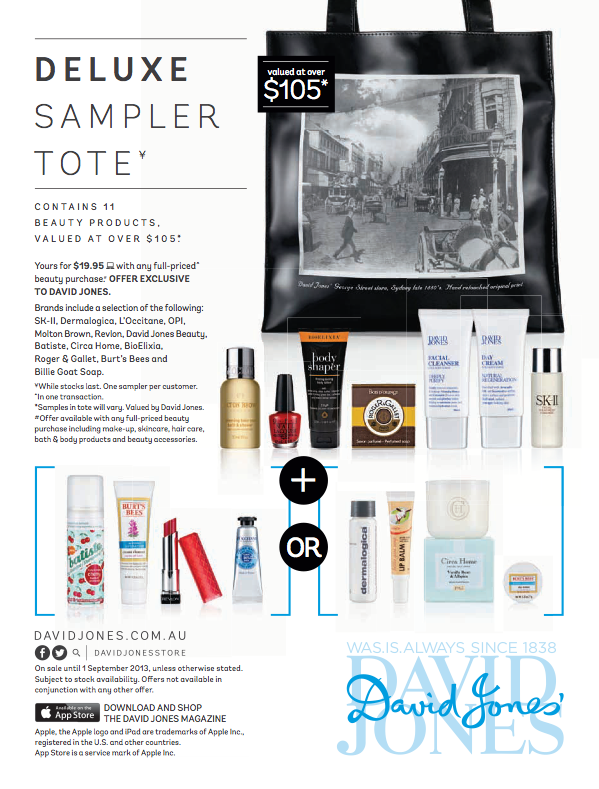 Plus, you can purchase a limited edition David Jones Sampler Tote filled with full size and deluxe sample sized products for $19.95 with any purchase from the beauty department! 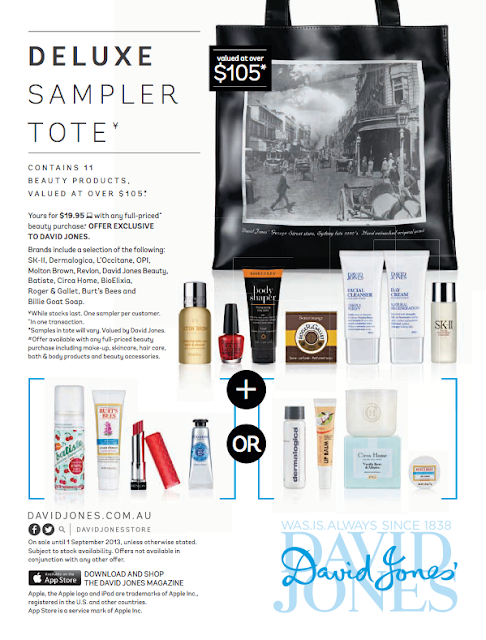 There is no minimum spend to quality for the DJs beauty tote, you just need to purchase one full size beauty product!